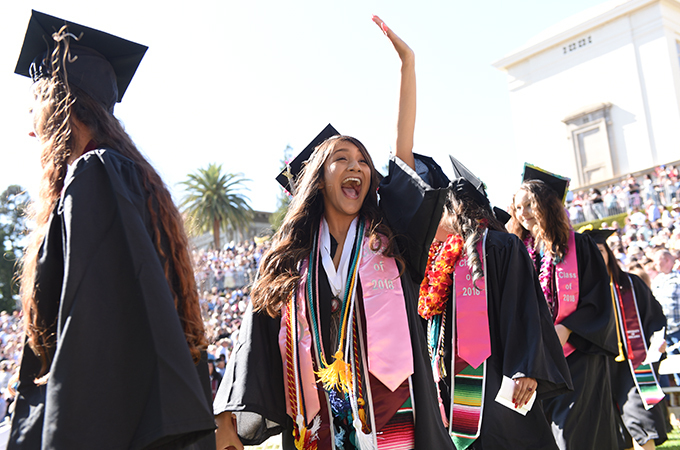 In the University of Redlands’ largest graduation ceremony of the year, 708 students from the College of Arts and Sciences walked across the stage of the Greek Theatre to receive their diplomas and celebrate and be celebrated for their accomplishments. Other highlights of U of R’s April 20 Commencement event included the award of an honorary doctor of music degree to Frederick Swann, a critically acclaimed organist and artist professor of music at the University since 2007, and a keynote address by U of R trustee James Ramos ’09. 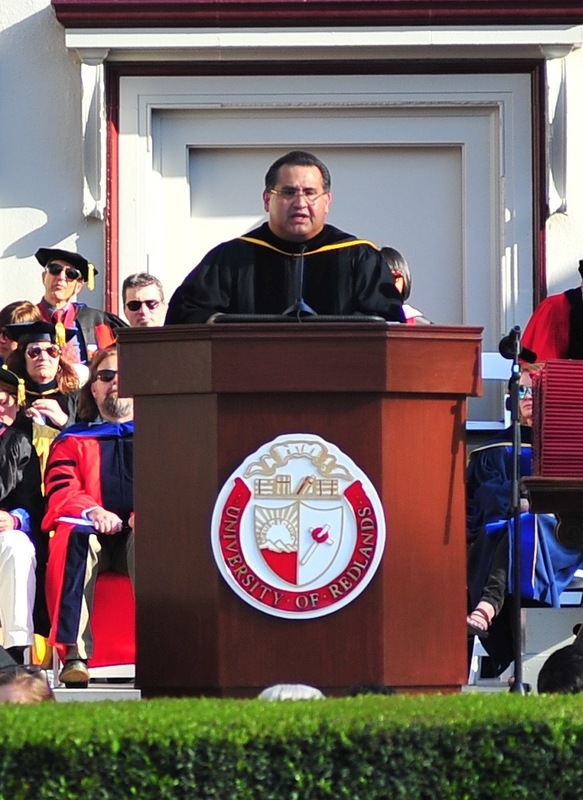 “Do not be deterred by those who stand in the way of your dreams— stay on course, and know that there are far more people cheering you on than those who want to see you fail," said Ramos, who is third district supervisor of San Bernardino County and co-founder of the San Manuel Band of Mission Indians’ Cultural Awareness Program. “The world is in need of each and every one of you to bring forth the knowledge you have gained to be problem solvers, to be unifiers, and to acknowledge that the diversity of our community is a strength." 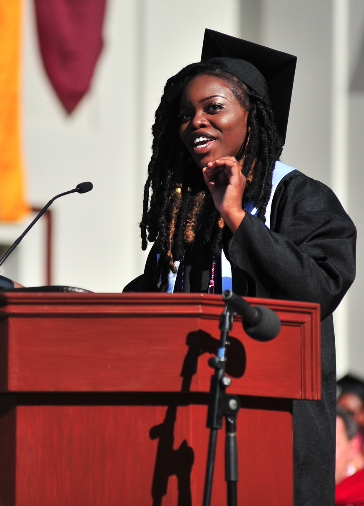 Other celebrations for 2018 graduates included the Senior Honors Convocation, the Student of Color Recognition Ceremony, the Lavender Recognition Ceremony, Medallion Ceremony for Legacy Graduates, department receptions and dinners, Baccalaureate, and the Johnston Center Commencement ceremony. Watch Adomaa-Fordjour deliver her speech below. 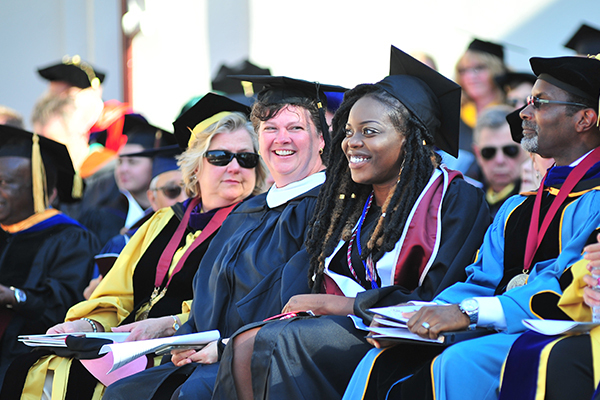 To view a recording of the April 20 graduation ceremony, see the College of Arts and Sciences Commencement Video page. More information on the University of Redlands College of Arts and Sciences is also available.